Everyting was perfect. New furniture, location, confortable bed, swiming pool, the flowers and trees from the garden, nice view, quaiet place for relax and the owner ansewred to all our requests. Le logement est neuf, très bien équipé et fonctionnel et très agréable. Propreté irréprochable. Le gardien qui nous a donné les clefs était très gentil et nous a aide pour la suite de notre voyage. A recommander! Это отличные, новые апартаменты. Есть все необходимое для комфортного проживания. Хозяева приветливые и отзывчивые! Могут организовать трансфер. На территории есть отличный бассейн с морской водой. Большая крытая парковка. Через дорогу магазин ( в первый день у нас небыло местных леков, приняли евро по хорошему курсу). Есть спуск к морю, правда без пляжа ( будте осторожны, чуть дальше от берега на дне есть морские ежи). На пляж нужно пройтись. А если на машине, то выбор пляжей большой. Lock in a great price for Apartment Roland – rated 9.3 by recent guests! Apartment Roland This rating is a reflection of how the property compares to the industry standard when it comes to price, facilities and services available. It's based on a self-evaluation by the property. Use this rating to help choose your stay! Located in Vlorë, Apartment Roland provides accommodations with a flat-screen TV. Complimentary WiFi is provided. Each of the air-conditioned units feature a kitchen with an oven, a microwave and dining area. A terrace with sea views is offered in each unit. Kuzum Baba is 4.3 miles from Apartment Roland. 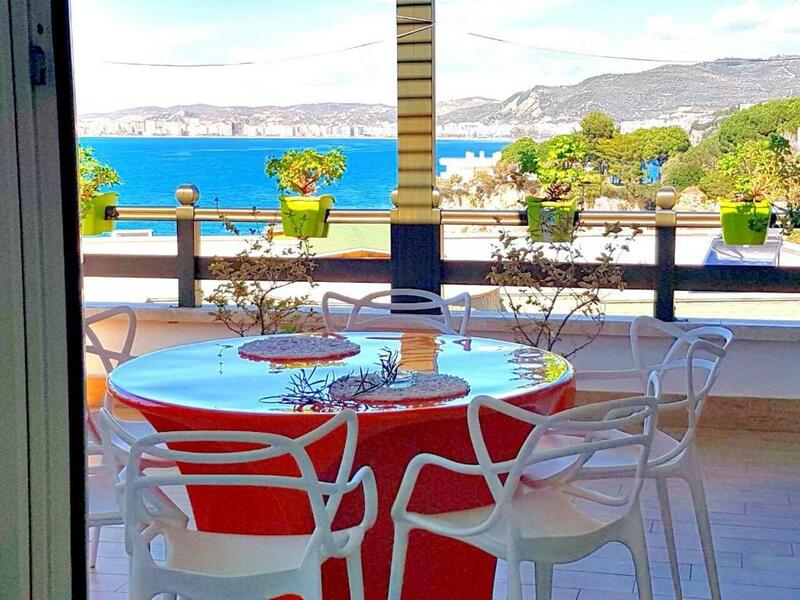 This property is also rated for the best value in Vlorë! Guests are getting more for their money when compared to other properties in this city. When would you like to stay at Apartment Roland? This apartment has a toaster, private pool and balcony. House Rules Apartment Roland takes special requests – add in the next step! Guests need be quiet between 2:00 PM and 5:00 AM. Please inform Apartment Roland of your expected arrival time in advance. You can use the Special Requests box when booking, or contact the property directly using the contact details in your confirmation.